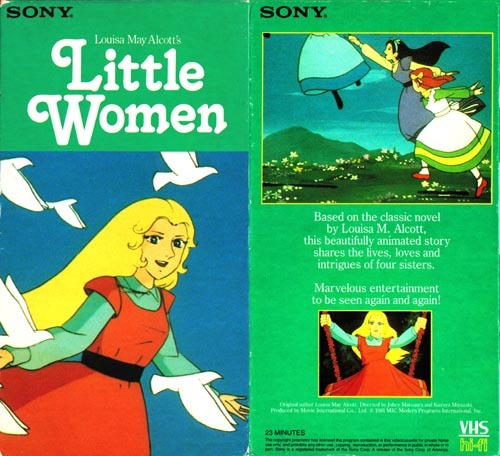 In your work in the field of Japanese cartoons you may occasionally uncover examples of any one of the several versions of anime based on Little Women, the seminal American novel by Louisa May Alcott. But wait, you ask. How can you tell all these iterations of Little Women apart? Well, we here at LET’S ANIME have compiled a handy guide to allow you to instantly identify and categorize Little Women by year, studio, English dub version, and hairstyle. 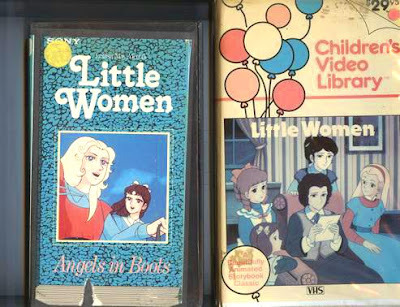 Yes, not only are there three separate ‘Little Women’ anime, but all three were dubbed and released in the United States to a perhaps confused but mostly indifferent audience. What’s more, these three releases all give us the same basic snippet of Little Women storyline, frustrating the needs of those required to write a book report on Little Women but can’t be bothered to read the book. Who are the titular Little Women, and why? Responsible eldest Meg, tomboy writer Jo, demure piano diva Beth, and girly-girl Amy survive as best they can in 1860s New England, enduring financial difficulties, repercussions of the Civil War and a challenging adolescence as they become what we know today as “teenagers” but that the Victorian period had no name for. The ink was barely dry on Alcott’s original Little Women when the first of several Japanese translations appeared in 1906. 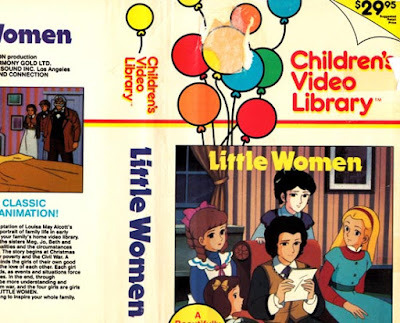 When Japanese animation titan Toei decided to produce a series of TV specials based on Western literature in the late 70s, Little Women got the nod along with Les Miserables, Frankenstein, Call Of The Wild, the literary fantasia Arsene Lupin Vs Sherlock Holmes, and a Dracula that adapted Marvel’s comic book rather than Bram Stoker’s novel. 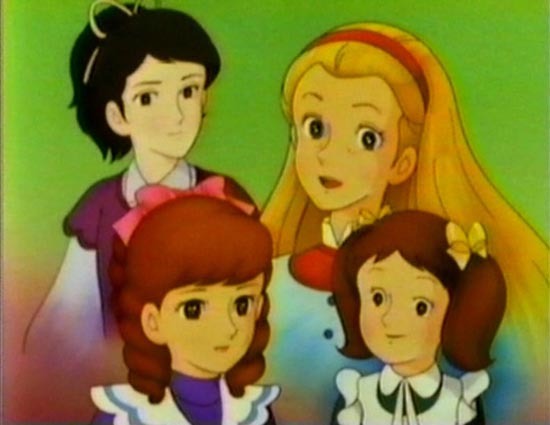 Toei’s Little Women, a 67-minute special on the Fuji TV network, aired May 3 1980. It starts right where the book does, a Christmas for the March girls that promises few presents and no Father. Dubbed by our Robotech pals at Intersound, this Little Women was packaged by Harmony Gold and found its way to American video stores thanks to Vestron Video’s Children’s Video Library, who also brought you Rainbow Brite, the Hugga Bunch, and the Glo Friends. This Little Women wraps up with Jo cutting her hair to get money to buy a watch fob for a guy who buys her a comb. Well, not that last part. Hot on the heels of the Toei telemovie was Movie International’s 1981 version, which is titled Little Women: Four Sisters Of Young Grass. I’m sure there’s a good reason they wanted to invoke lawn imagery in the title, but so far the logic escapes me. MIC farmed the animation out to Toei and there’s a distinct similarity in the two productions, especially in the character designs which sometimes show a family likeness. Jo is almost completely different, however; sporting a new hairstyle and an adult look at odds with the story’s intent. MIC’s series ran from April until September of ’81. With episode titles like “Christmas Eve At The March Home”, “Angels In Boots”, “Jo’s Boyfriend”, “Beth’s Makeover”, “Jo Vs Amy”, “Meg is Caught In A Trap”, “Trouble In Raleigh”, and “Don’t Die, Beth”, you can see which story arcs the series focused on. Along with MIC’s Honey Honey and the Mushi Pro Tezuka series Jungle Emperor Go Leo, Little Women was dubbed by SONIC International, a since-vanished Florida production house. Like Honey Honey, Little Women made it onto a series of Sony home video tapes that may very well be lurking in the thrift stores and used bookshops near you. If MIC’s Little Women ever made it onto CBN Cable along with Honey Honey and Leo, it got past us because we didn’t catch it. It would be six long, Jo-free years before Little Women would again be animated in Japan. Nippon Animation took a ground-up approach to their 1987 World Masterpiece Theater series Little Women In Love, throwing out the Toei character designs and retooling courtesy Yoshifumi Kondo, who directed the lovely Whispers Of The Heart and would character design for Only Yesterday, Grave Of The Fireflies, and Princess Mononoke before his untimely death in 1998. 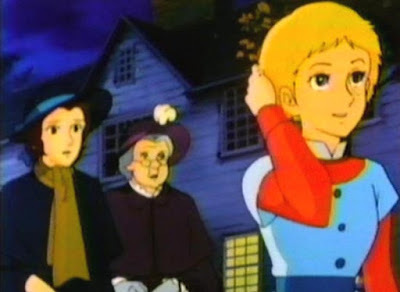 Nippon’s series is the most successful of the bunch, featuring period-accurate hairstyles, clothing, and architecture combined with good animation and scripts that stick close to Alcott’s original. The series ran 48 episodes and garnered a sequel, Little Women II: The Wrath Of Aunt March. I mean, Jo’s Boys. Japanese audiences also got the entire series in English on specialty Japanese cable channels. 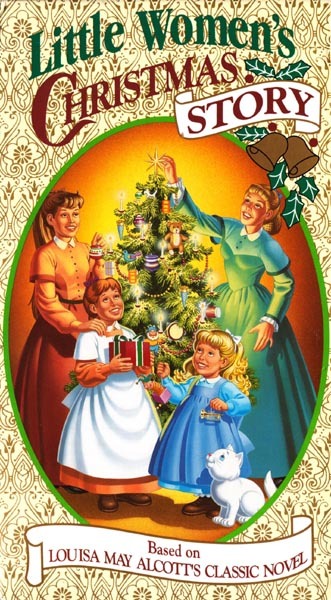 Americans, however, got one measly VHS release of this series, which again features that first episode where the March gals are facing a poor Christmas. Saban provided the English dub. 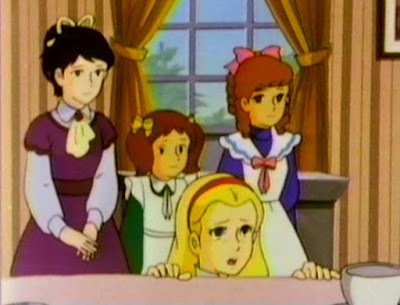 But is this all there is to the story of Little Women in Japanese animation? No sir. The TBS series “World Mukashibanashi Manga” (Manga Folktales Of The World) devoted an episode to Little Women in October of 1977. Manga Folktales featured a variety of stories and fairy tales obscure and famous – Jack & The Beanstalk, Alibaba & The 40 Thieves, Beauty And The Beast, Why The Sea Is Salty, Gifts Of The North Wind, Cinderella, Wizard Of Oz – and in English (and Spanish) they show up in the cheap DVD bins from time to time. Did their Little Women get an English version? Is there yet another dub of yet another anime Little Women out there? How much Little Women is too much Little Women? Geoff Tebbetts begins his epic overview of fifty years of Japanese animation television NOW with contributions from a galaxy of anime writers -including my own bad self- coming up in a few days. Hope everybody had a great holiday season and a safe & fun New Years' Eve and is ready for 2013!